Violet Paget, who published under the pseudonym Vernon Lee, was born to English parents in France in 1856. 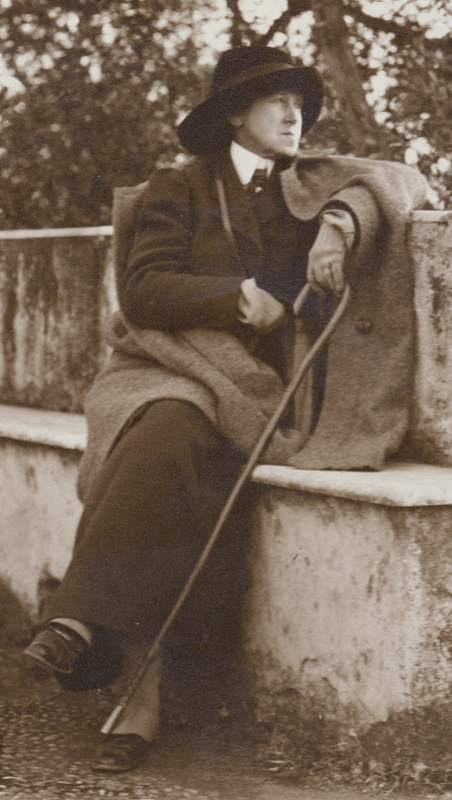 She spent her life in England and Italy, was fluent in four languages, and became a central figure in the literary and social circles of her day. She wrote essays on aesthetics, archaeology, history and politics. She authored over fifty books. She died in Florence in 1935. The Vernon Lee Collection at Colby College contains over 1000 letters, 136 manuscripts and articles, 117 photographs, and a small number of personal documents and artifacts. First and subsequent editions of Vernon Lee titles are described in the Colby Libraries web catalog. List of "Vernon Lee Letters Home"